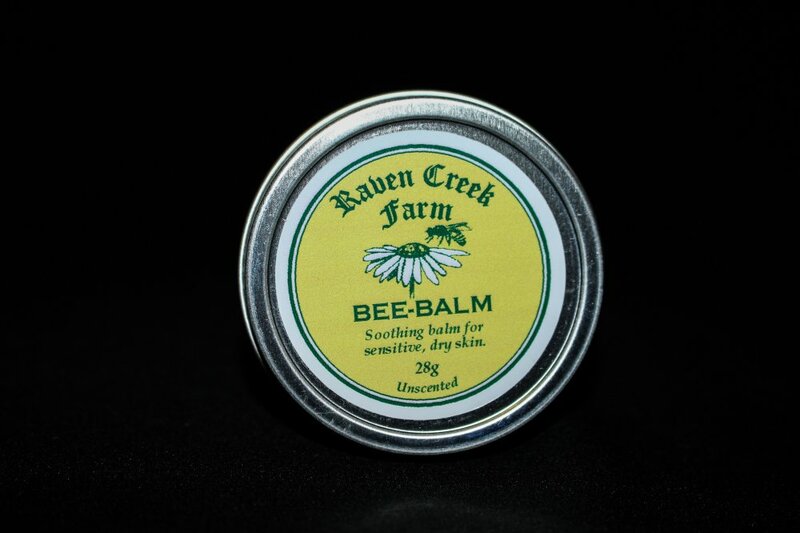 Raven Creek Farm Bee-Balm. A soothing balm for sensitive, dry skin. Unscented. 28g.